As the Oakland Zoo approaches the finish line in its controversial expansion into Knowland Park, the coalition opposing the project has released the results of a poll it commissioned showing that a supermajority of city voters oppose the plan — in its current form. 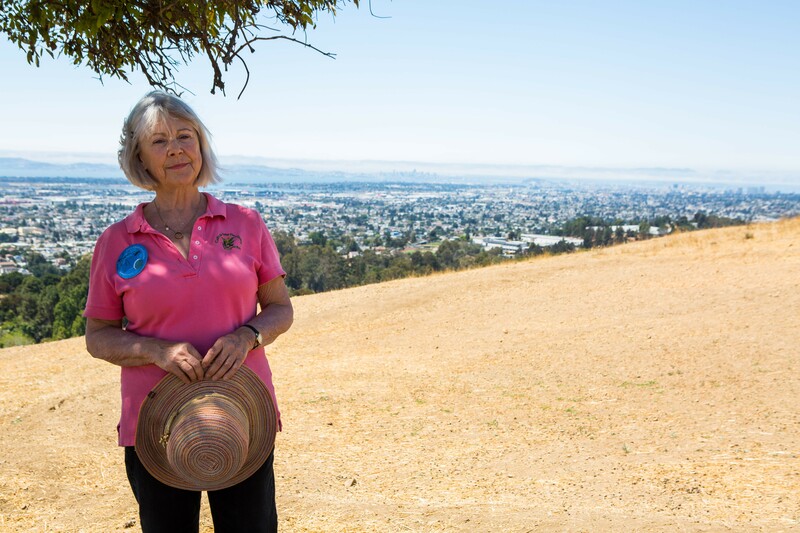 Critics of the project — a coalition of environmental groups, park advocates, and neighbors — have long argued that the zoo's proposed 56-acre expansion into the city-owned, undeveloped park in the East Oakland hills would destroy valuable habitat and block the public from accessing rare open space in the city. The East Bay Zoological Society, the private nonprofit that runs the publicly owned zoo, has argued that its plan has gone through extensive environmental review over many years and that the public benefits of its "California Trail" expansion project far outweigh any of the concerns raised by environmentalists. The exhibit, the zoo has said, would spread a message of conservation. The new poll, conducted by EMC Research on behalf of the Save Knowland Park Coalition, found that 77 percent of voters oppose the existing zoo proposal. Specifically, 44 percent of voters agreed with this statement: "The Zoo should be allowed to expand, but new facilities should be built within or near existing zoo buildings, impacting the smallest amount of public parkland as possible, and minimizing impacts to threatened plant and animal species." And 31 percent of voters agreed that the "Zoo should not be allowed to expand onto undeveloped public parkland." Two percent said the zoo "should find ways to meet their needs within their existing area." Only 17 percent of voters said the zoo "should be able to build their expansion project as proposed, without any changes." A central argument of Zoological Society critics is that the development project — which includes a new interpretive center and visitors' building, a restaurant with panoramic bay views, and exhibits featuring wolves, grizzly bears, black bears, mountain lions, and more — would destroy habitat that currently supports a local threatened snake species, rare plant communities, and native grasslands. And because the zoo opted to develop on a high point of the park with spectacular views, the bulk of the exhibits would be located on an upper part of Knowland Park not directly adjacent to the existing 45-acre zoo (which is located on the lower part of the park and would be connected to the expansion by a gondola ride). The opposition statement in the poll supported by 44 percent of voters reflects those arguments of project opponents — that the zoo should develop within its existing footprint and in the areas immediately surrounding the zoo. That would keep the most valuable park space open to the public, according to Knowland Park advocates. Laura Baker of the California Native Plant Society, one of the groups opposing the project. The poll of 351 Oakland voters involved a series of questions. When first asked whether they support the plan to expand into Knowland Park at the start of the poll interviews, 57 percent of voters said they supported it, 25 percent said they opposed it, and 18 percent said they were undecided. (And 46 percent of voters also said they were not familiar with the issue). After the pollsters gave the voters details about the plan — proposed attractions of the project, information on the undeveloped, open space qualities of Knowland Park, and specifics on the opposing environmental groups, like the Sierra Club — a higher percent of voters opposed the project in subsequent poll questions. The Oakland Zoo is an important part of the Oakland community, and ranks highly favorably amongst Oakland voters, with nearly half visiting the Zoo at least once a year. When asked whether or not they support a Zoo expansion plan, voters initially support the plan but it is clear even from the initial ask that support is soft as only 22% strongly support the expansion. After hearing more about the plan, a plurality of voters oppose the expansion plan. Finally, when voters are asked how the Zoo should move forward, a 75% supermajority says the Zoo should either not be allowed to expand into undeveloped public parkland or that any expansion should be built within or near existing zoo buildings, impacting the smallest amount of public parkland as possible, and minimizing impacts to threatened plant and animal species. When I covered the expansion in my recent cover story, Zoological Society officials insisted that the project is a done deal since it already received approval from the Oakland City Council in 2011. They further argued that the project includes an extensive plan to mitigate any potential environmental harms. But because the project threatens sensitive habitat, state and federal regulators have more recently required the society to set aside additional land, outside of its expansion footprint, for mitigation purposes. The Zoological Society's proposed solution is to close off an additional 21 acres of Knowland Park to essentially make up for the habitat loss it is causing and meet the regulators' demands. The city council is expected to vote on that request in the near future, and the activists who have long fought the zoo are hoping the council will take the opportunity to say no to the project. Most recently, the council held a closed session meeting last week with Zoological Society officials, city planning officials, and a number of federal and state regulators to discuss the proposal. 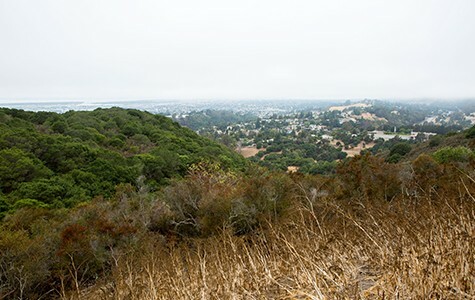 The request to authorize this mitigation plan — a proposal to seize even more open space from public access from the perspective of Save Knowland Park — will ultimately come before the council in an open session. After poll respondents are read a list of mistruths, support for the project still maintains close to 50%. However, this is where the poll misrepresents the project and cannot be taken seriously based on questions and information that were wholly misleading and grossly inaccurate. The California Trail Project has been vetted by 5 federal, state, regional, and local agencies, all of whom determined that the project would greatly improve conditions for native plants and animals in Knowland Park. The City of Oakland’s own staff report confirms that the California Trail Exhibit: (1) assures long-term habitat protection and enhancement; (2) preserves access and open space based on years of discussion and compromise with the community; and (3) meets or exceeds environmental commitments, following thorough and exhaustive environmental review. Dehejia's statement further argued that the project includes a program to restore and enhance the natural habitat of the park and that funding for the expansion is secure. For more on the expansion project, read our feature "Zoo Gone Wild," and check out our video interviews at the park here.